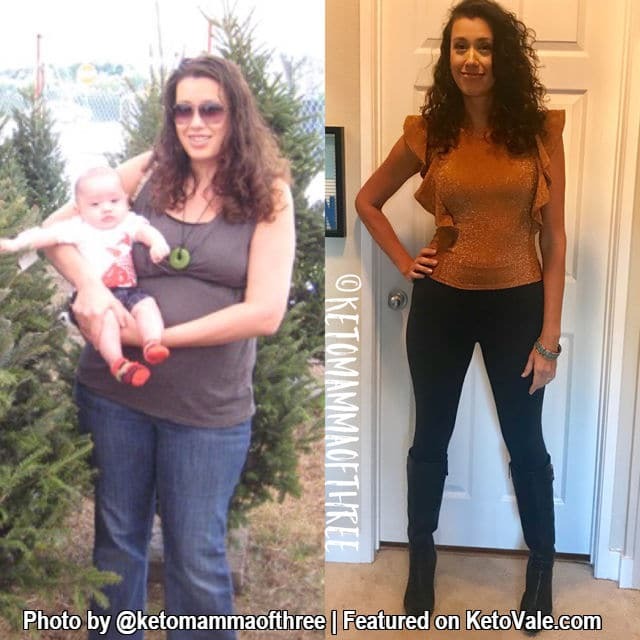 Today we are excited to share with you an amazing keto success story from Manuela Fung. 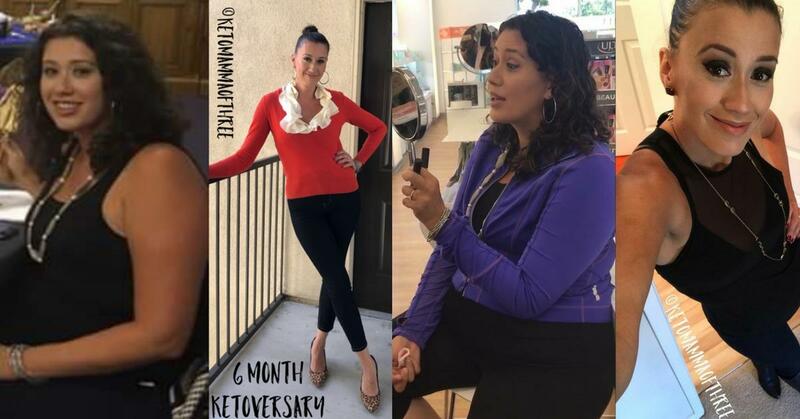 Manuela has been on keto since May 2017 and hit her weight goal in October 2017. 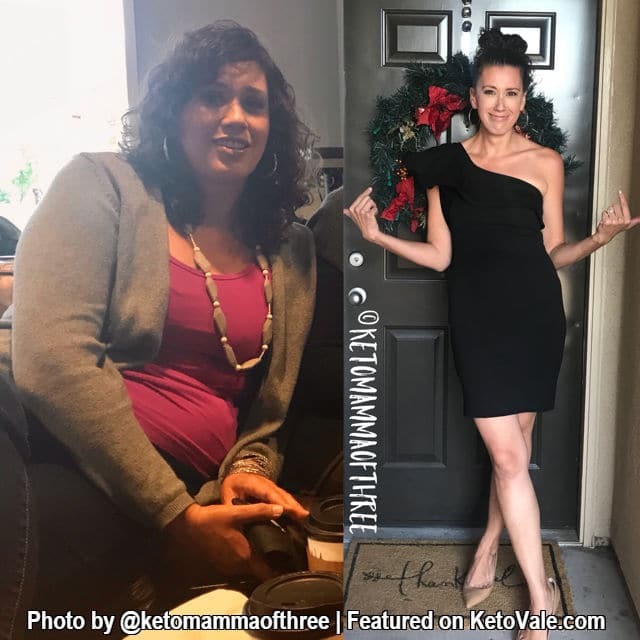 She lost over 80.4 lbs in total until this date (Dec 2017) and achieved her dream goal thanks to keto. More importantly, she has transformed her life physically and emotionally. Updated story: (27th April 2018) – Manuela has lost over 87.4 lbs and maintaining her weight now. 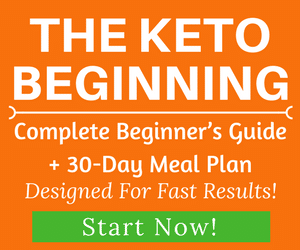 If you’re new to the keto diet, feel free to read our keto guide and meal plan to get started. I’ve struggled with weight my whole life. I have 3 sisters and I was always the “big” sister. I’ve tried everything from diet pills, weight watchers, being vegan, running a marathon and 2 half marathons, personal training sessions and the list goes on. I could be successful in small windows but I’d always start cheating, cutting corners and ultimately quit. After I got pregnant with my third child I really packed on the weight adding 30 lbs to my heaviest pregnancy weight. On May 18, 2017, I went to the doctors and found out I was the heaviest of my life with seriously declining health. On my 5’9.5” frame, I was bursting out of a size 18 jeans weighing in at 228.8 lbs and a 1X top. The doctor also informed me of some alarming results. 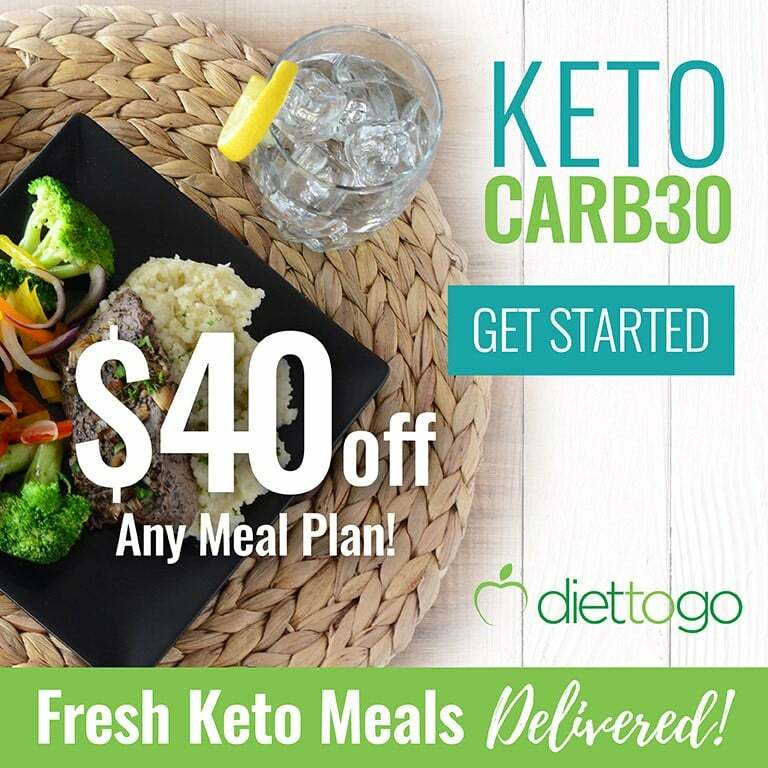 I left the doctor knowing I needed to make some drastic changes to my diet and decided at that moment to give Keto a shot. I was afraid to dream it could work. Never in my wildest dreams did I believe that I would surpass my dream goal of 149 as I’m currently weighing 148. To date (Dec 2017), I’ve lost a total of 80.4 lbs. I’m now a size 6 and am now an XS top. Updated (April 2018): She has lost over 87.4 lbs and is now maintaining. It isn’t only a physical change but a major emotional change. I’m experiencing utter freedom emotionally and dealing with hang-ups that have plagued my life for years. I am living and can chase after my kids at the park, I’m bursting with energy, smiling with joy. 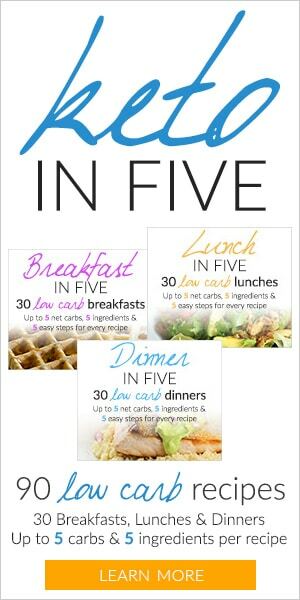 I don’t crave carbs, I no longer suffer from severe food addiction and don’t emotionally eat. Food was once a lover that treated me poorly, now it is simply a fuel for my body. Dealing with my feelings is hard, as I used to just stuff my feelings away with food but in dealing with them there is now a new freedom and joy. But I wouldn’t trade it for the world! It’s worth the work! Being a stay at home mom is insane and I don’t have a lot of control but I am in utter control of my diet and body. It feels amazing! I made sure to eat only Keto foods and track like I was getting paid for it. And worked at keeping my carbs under 20 grams. I didn’t sweat calories, protein or fat. I simply listened to my body and ate when I was hungry and didn’t eat if I wasn’t hungry. Now that I’m in maintenance, I count and track macros strictly because my goals have changed from weight loss to building muscle. I need to ensure I make my protein, caloric and fiber goals. If yes, what’s your workout routine like? I did not start working out till I’d lost 69 lbs, as I wanted to prove to myself I could conquer my food addictions. I workout 5 times per week. I do cardio 1-2 times per week (20-30 mins) and I do circuit trading the remain days with weights. I don’t do crazy workouts. 80% of this is diet and 20% is working out. Don’t kill yourself at the gym. Kill your food game and you’ll see huge results. Yes, I simply stuck with the program. If you’re on a plateau you need to accurately track. 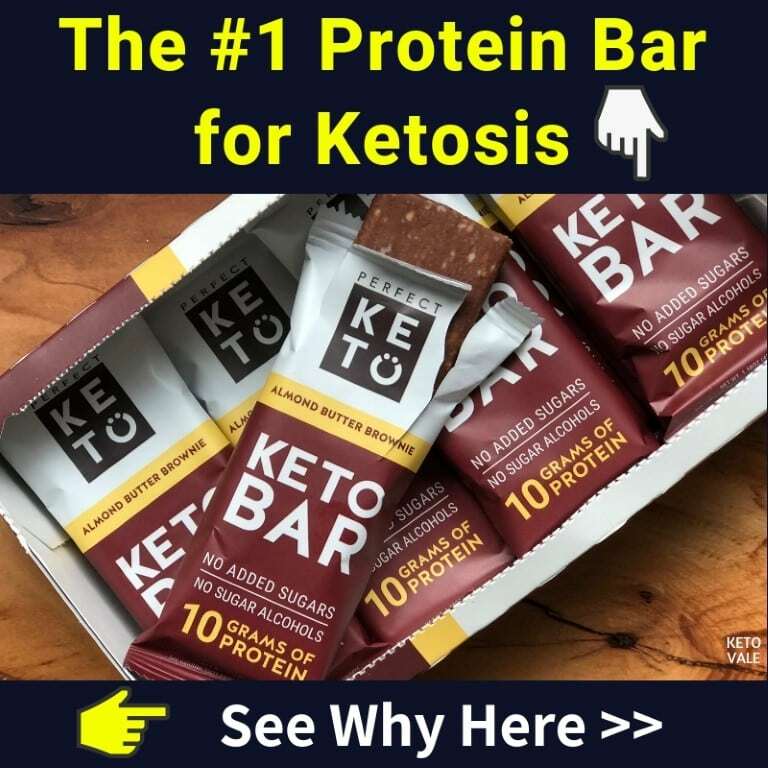 Make sure you are eating only Keto foods, not cheating and not eating too much fat. 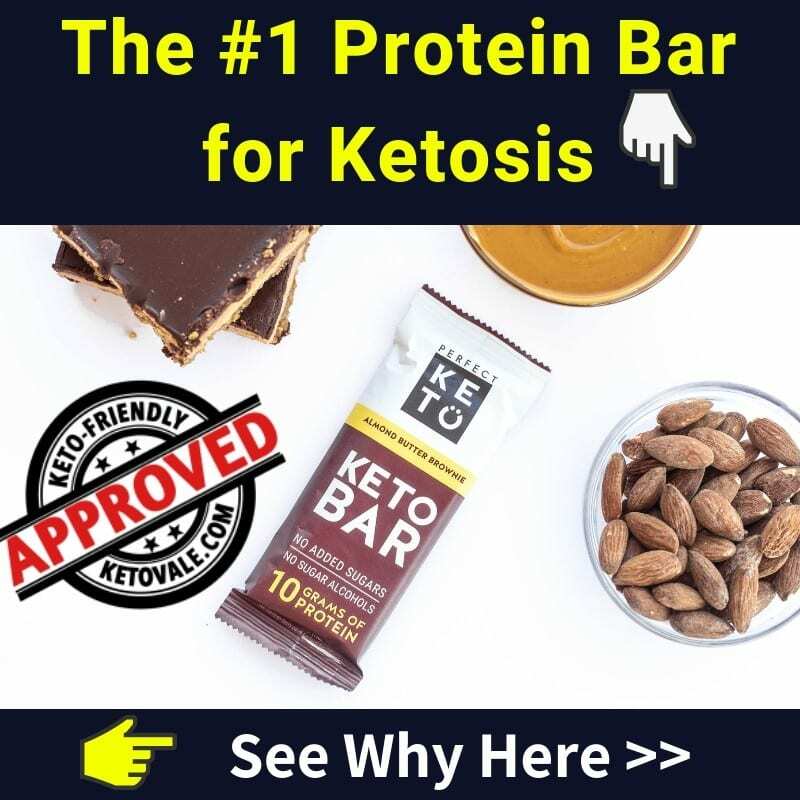 If you are consuming too much fat or Keto junk foods that are taking away from burning the fat on your body. I limit artificial sweeteners to holidays and special occasions. If you consume sugar alcohols your body needs to stop burning fat, then needs to get rid of the toxic sugar alcohols which slow down your weight loss. I am more addicted to the results, the emotional freedom, and feeling amazing than any other garbage foods I once ate. I love a great steak, chicken thighs with the skin and love me lots of veggies. Use fresh herbs as they bring brightness to any dish. Use a variety of spices from Asian Cuisines, Indian, Mexican. This can transform a boring protein into unbelievable. I also love me some spicy! My meals consist of a fatty protein with lots of veggies and not much-added fat. I love Nom Nom Paleo’s InstAnt Pot Kahlua pork or some curry chicken thighs with the skin. I aim for nutrient dense foods and limit dairy (I don’t eat them at every meal). There are lots of great Keto recipes out there but I feel like keeping it simple does my waistline good and keeps food prep less overwhelming. I try to stay away from Keto versions of the foods that got me fat, to begin with. 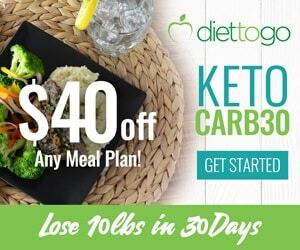 I followed Dr. Eric Westman’s approach to Keto and am now following a more Primal Edge Health’s version of Keto. The more natural you can keep your foods in their whole form the better. I rarely eat and almost never eat science and highly processed foods. I am highly dedicated to the process by putting in the work and don’t make excuses, cheat or take gimmick approaches. I make it work under all circumstances and am willing to put the effort in to learn as much as I possibly can. Track your macros like it’s your job and read a lot. Don’t sweat the scale. Make goals where you are souls responsible for the outcome. I never make goals like lose 10 lbs in a month. I’ve done that but you are reliant on your body being repaired and prepared to lose that much weight. Instead, do everything in your power and take ownership of tracking, not cheating, following the program. Be patient and don’t compare yourself to others. Avoid crazing things like egg fasts, etc. they are not necessary. You may need to tweak and fine tune but this process works by itself. We’d like to thank Manuela for sharing with us her tips and inspiration. We actually have followed Manuela on Instagram for a while and loved all the pieces of content she shares. You can also follow Manuela on her new Instagram account @manuela.fun.with.a.g (AKA Ketomammaofthree) for more keto tips and advice from her.